Welcome to vintage farm. 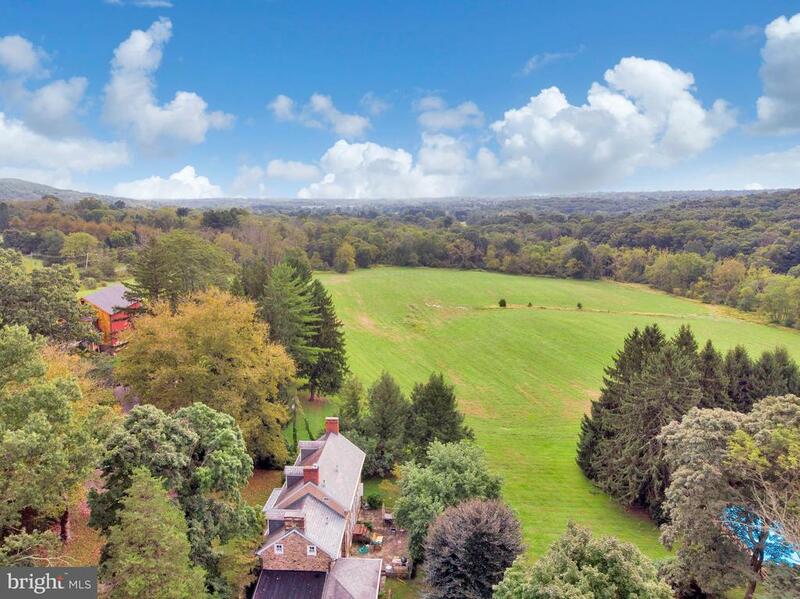 An extraordinary enclave of estate homes located in one of bucks county's most exclusive addresses. Upper makefield township! This all stone, eight bedroom, eight full and two half bathroom richard zaveta built property offers exceptional space and amazing features throughout. This exquisite 4. 56 acre property sits majestically in a cul-du-sac and the long beautifully landscaped curved driveway circles in front of the residence. Inside the main entrance is the foyer area which is two stories in height and features marble floors, butter fly staircase and custom millwork. It is hard to decide where to spend time in this 4-story home. The foyer is flanked by the formal dining room on the left and living room with fireplace on the right. The cherrywood library/study with coffered ceiling and hardwood floors offers a great place to work from home. A first floor "mini master" suite is perfect au pair space. Perhaps the most enjoyed area of any home is the gourmet kitchen and great rooms! 21 vintage farm lane is no exception! A main center island is the gathering place for the kitchen that features high end appliances, marble floors and antique glazed cabinetry. The light drenched breakfast area overlooks the most beautiful backyard with views of the pool, spa & gazebo. The kitchen opens directly to the great room and is a wonderful place to entertain. Upstairs is the grand "ritz" feeling master suite and includes a large bedroom, sitting room, wet bar with cold storage, opulent bathroom and amazing closet. There are 4 additional bedrooms (all en suite) and large bonus room that complete the 2nd level. The third floor has a bedroom area, sitting room and full bathroom. Below is a huge finished walkout, daylight basement that opens to the pool area. There is another full kitchen which serves the pool, plus game areas, family room with fireplace, gym, wine cellar, additional craft/study space and a magnificent home theater room. Outside is breathtaking. 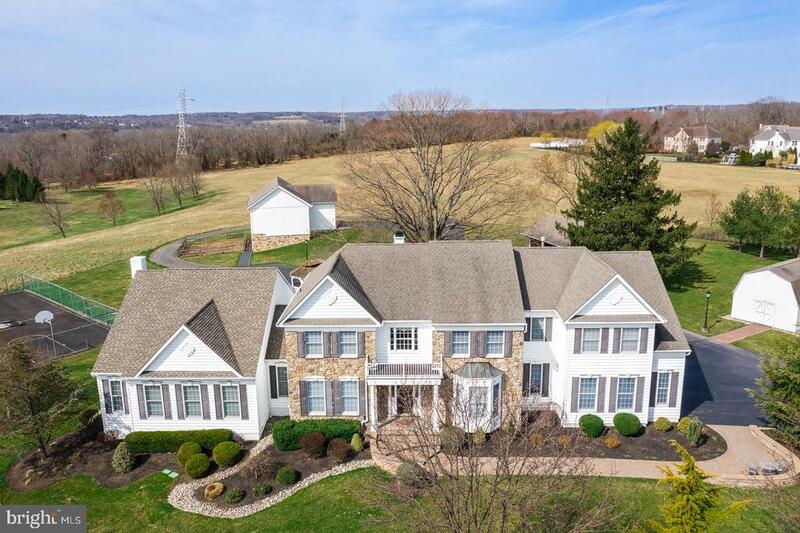 A number of balcony's have views of the lush landscaped property and distant vistas from around bucks county. Much time will be spent enjoying the pool and spa with friends or entertaining in one of many living areas outside. For the car enthusiast, there is a 7 car garage. Easy commutes to nj and the princeton route 1 corridor. Close to trains to nyc too. Award winning council rock school district. Recognized as the top "country lane" to live on in upper makefield! Minutes from downtown newtown and i-95. One of a kind architectural plans are crafted to your individual layout and design expectations. High end finishes and attention to detail accentuate the quality that custom builders phil mack and glenn roedel build into each of their homes. Design consultations are invited. 5. 10 acre lot facing "open space" and long distance views. Exquisite stone front custom built estate handcrafted by gregg bittner custom builder is situated on a beautiful 3 acre parcel with spectacular long distance views, in upper makefield's premier community of ely farm. This stately home offers expert craftsmanship and impeccable attention to detail throughout. Featuring extensive landscaping and mature specimen trees planted perfectly to ensure privacy around the custom artisan in ground pool and flanked by multiple flagstone patios. Enter to the inviting front to back 2 story foyer which features a dramatic detailed staircase leading to the upper living areas. Formal living & dining rooms feature extensive moldings, custom built-ins, fireplace and hardwood flooring. A sun drenched solarium and study with custom built-ins are conveniently located on this level. Gourmet kitchen with custom cabinetry, viking appliances, 2 dishwashers and spacious center island, are perfect for entertaining. Breakfast room opens up to a flagstone patio with built in gas grill. The 2 story family room's focal point is the floor to ceiling stone fireplace flanked by windows allowing for plenty of natural sunlight. Above, the 2nd living level features 4 spacious bedrooms including a sumptuous master bedroom suite which features a gas fireplace, luxurious bath, sitting area, exercise room and walk in closets. The additional 3 bedrooms are sunny and spacious with 2 private baths. The 3rd level features and additional bedroom, sitting room/office area, bonus room and private bath. Guests will enjoy being entertained in the lower living area with a home theater which features stadium seating, wine cellar, billiards room, music room with stone fireplace, powder room and walk out leading to the park-like rear yard, where they can relax and enjoy all the exterior amenities! 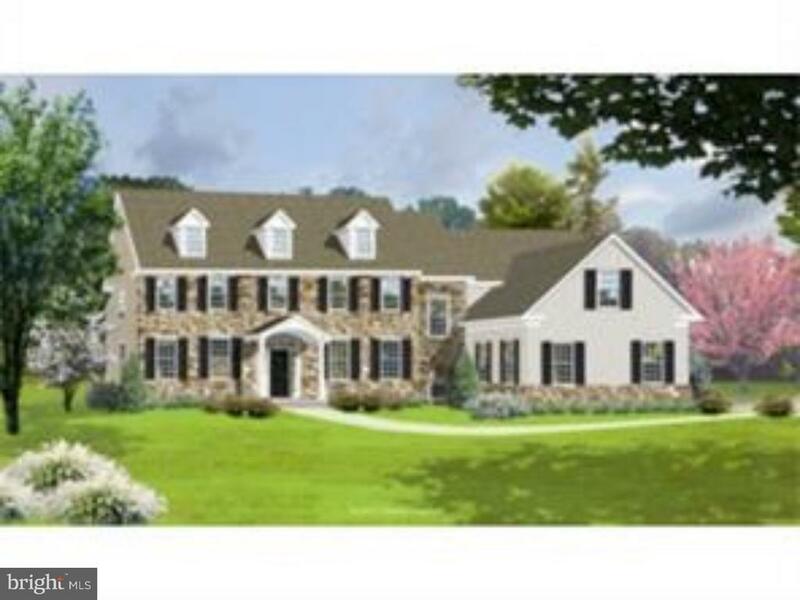 Extraordinary example of design, elegance, attention to detail and meticulous workmanship from bailey custom builders, situated in one of upper makefield township's most desired neighborhoods~weatherfield! 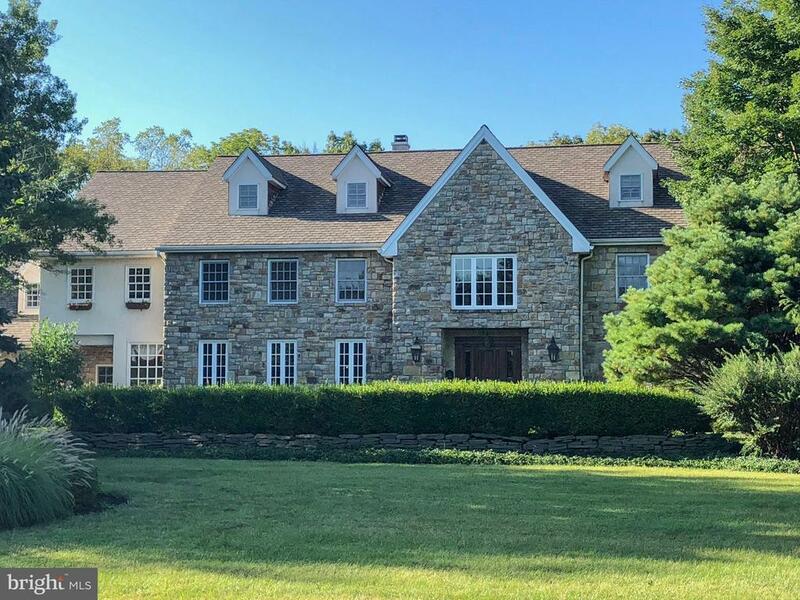 This magnificent stone manor home exudes old world elegance with bluestone walkways and belgian block accented governors driveway leading to the main entrance. The grand foyer designed with soaring cathedral ceiling, circular staircase with wrought iron handrails, wood trimmed arched walkways and heated marble flooring throughout opens to both the formal living room with fireplace and formal dining room with french doors and fireplace. The heart of the home is the kitchen and breakfast room accented with granite counters and wood surfaces, boxed ceilings, granite stone walls and premium appliances including wolf range, double wall oven, warming drawer and built-in steaming station, built-in subzero twin refrigerator and freezer, wine cooler, fisher paykel and bosch dishwashers. An adjoining breakfast room with wall to wall windows opens to the stunning two-story family/great room featuring a floor to ceiling stone fireplace, built-in entertainment center, wood trimmed columns and abundant natural lighting through floor to ceiling palladium windows and french doors. An executive style office with built in shelving, a florida room, butler~s pantry/wine room, mud room, secondary front entrance with covered porch and powder room complete the main level. The second floor includes an opulent landing which displays the foyer and adjoins a master suite that includes a custom stone gas fireplace, walk-in closets with built-in shelving and luxurious master bathroom with whirlpool tub and private commode and bidet. Second floor bedrooms two, three and four each have their own private bathroom, with bedroom four featuring a custom gas fireplace. The third level includes a spacious living/entertaining and bedroom arrangement with full bath, large dressing room/walk-in closet and expansive second office/study. An open rear staircase descends to the fully finished lower level complete with a copper and wood trimmed wet bar that includes a wine cooler, refrigerator and dishwasher, game and media rooms, luxurious 12-seat theater room, exercise room with steam shower and walk-out grade guest bedroom with full bath. Two unfinished areas which house the furnace, air handlers and well pump complete the lower level. A three bay side entrance finished garage designed with protective overhangs and decorative columns grace the exterior. The outside features extensive landscaping and hard-scaping. The rear of the home features bluestone patios, a lighted putting green and long distance views that back to 35 acres of preserved woods. Introducing this extraordinary contemporary situated on 11 tranquil acres in upper makefield bucks county! The stucco has been removed and replaced with beautiful james hardie contemporary hardie panels. This unique home features five bedrooms, five and one half bathrooms, state-of-the-art culinary kitchen complete with stainless steel appliances, brand new thermador refrigerator, freezer and wine chiller and granite countertops, great room with 32' ceilings and newly resurfaced decorative radiant floor heating, large familyroom, and finished basement. The home makes wonderful use of light, space and windows. The best way to describe this home is "light drenched". Breathtaking views are visible from virtually anywhere in the house. The railing on the spiral free-form double helix radius staircase is a piece of artwork and adds to the home's character. Master bedroom suite offers huge luxurious walk-in closet. Sip wine by the beautiful in ground pool that backs to a wooded area. Enjoy the finished lower level w/ entertainment area, playroom and exercise room. 5 minutes to i95, 20 minutes to the train station and 25 minutes to princeton. Award winning council rock schools! Exquisite builder's package from worthington & shagen custom home builders. Located on cul de sac 5. 57 acre lot backing to woodlands and stream. Customization is invited and extensive list of upgrades are included. Other lots available.